The SC vibrating fork level switch range operates by using two piezoelectric elements built in to a vibration tube. The first piezoelectric element is triggered by pulse signal that is created from the circuit to transport vibration energy out, and the other piezoelectric element receives the vibration and transmits it to output electric signal. While the probe is in contact with material it will cause the frequency change of the output signal and will cause the unit to switch. 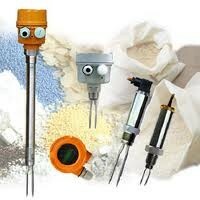 Vibrating fork level switches provide reliable and maintenance free monitoring of bulk solids and liquids alike. designed to avoid the accumulation of material on probe. Field-operatable in sensitivity adjustment to fit versatile density of material.